What? : A service commemorating the death and burial of Jesus Christ. This service focusses on the events that transpired on the Thursday evening before Jesus execution at Cavalry. We will be examining the picture left us by Mark in His Gospel chapter 14 — Plain Words of Trial — Mark 14:10-31. What? : A service commemorating the death and burial of Jesus Christ. In this service we will be examining the death of Jesus as described by Mark in His Gospel. We will be looking to the Holy Spirit to teach us the meaning of Jesus’ death in the Plain Words of Transaction — Mark 15:1-27 as Jesus uttered them. Who? : Open to the public - All Welcome! April 21, 2019 Easter Service 10:30 a.m. What? : A service commemorating and celebrating hte resurrection of Jesus Christ. There will also be a Baptismal Service on this Sunday. 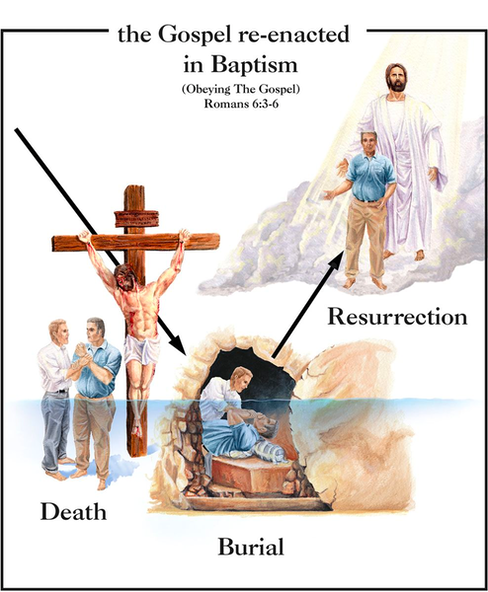 Anyone wishing to be baptised by immersion as a Believer please contact Pastor David. See the picture below.